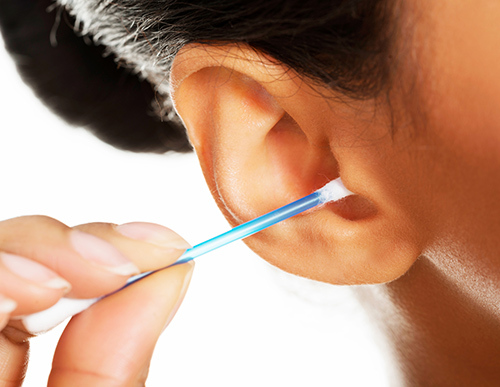 Wearing hearing aids can also be a bit problematic for ear wax, but if you follow your hearing care professional’s instructions on proper hearing aid cleaning and gently washing out your ears (no swabs or pointy things), you should be able to prevent excess ear wax from blunting the operation of your hearing aids, or from having ear wax impaction problems. It’s so simple, you probably already do it: just gently wash around the outside of your ears with a washcloth while you’re showering. Then gently towel off the water and that’s about it. No follow-up with a swab needed, and definitely not recommended. If you have any concerns about your ear wax, your hearing, ear wax removal, ear cleaning habits or anything else associated with your ears, schedule an appointment with your hearing care professional today—and be grateful for your wonderful ear wax.